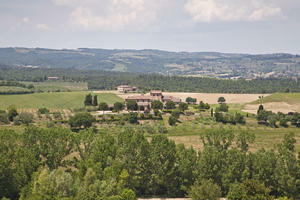 Torrita di Siena. 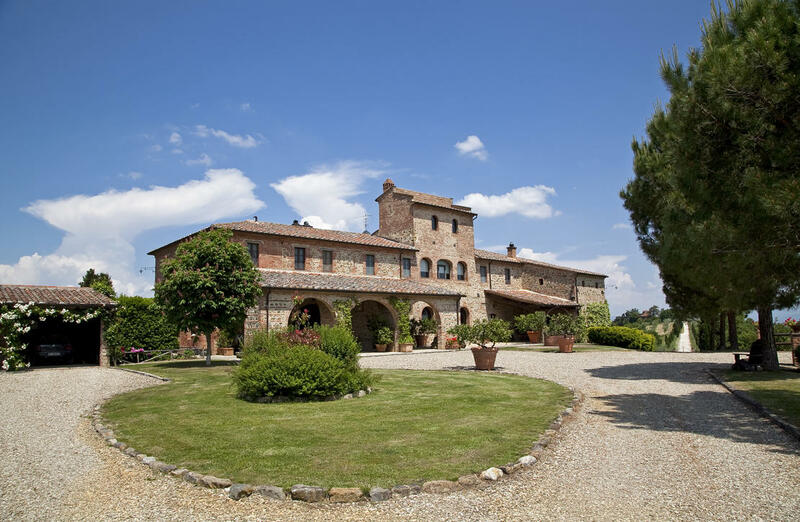 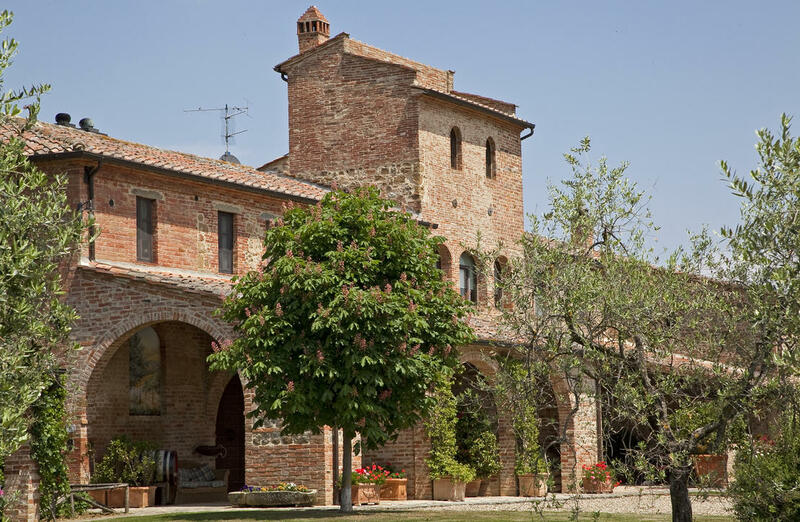 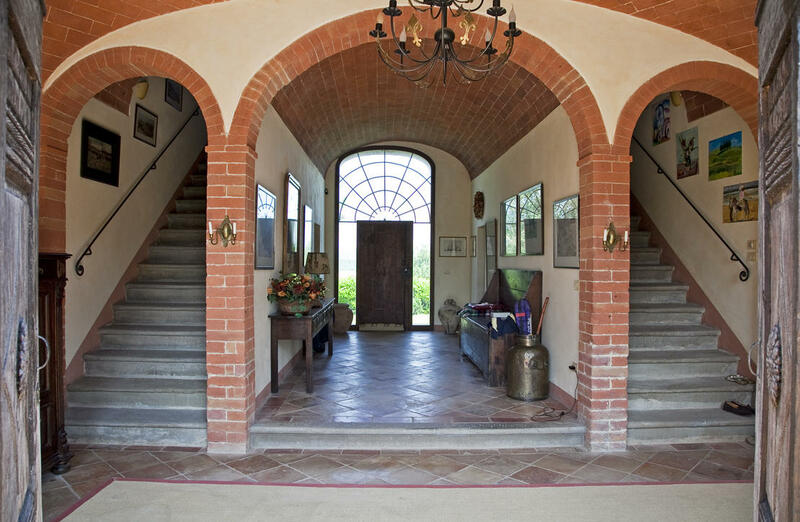 Close to the village of Torrita di Siena, we propose this stunning restored farmhouse with swimming pool and 44 ha of land. 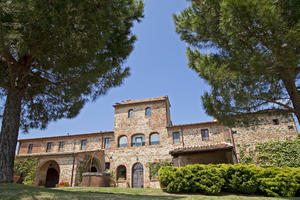 The imposing architecture together with the amazing location make it a unique estate. 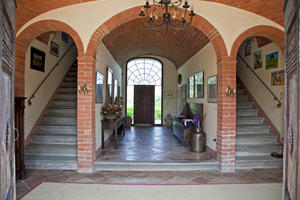 We enter the property through manicured gardens to the elegant entrance hall with double stairway. 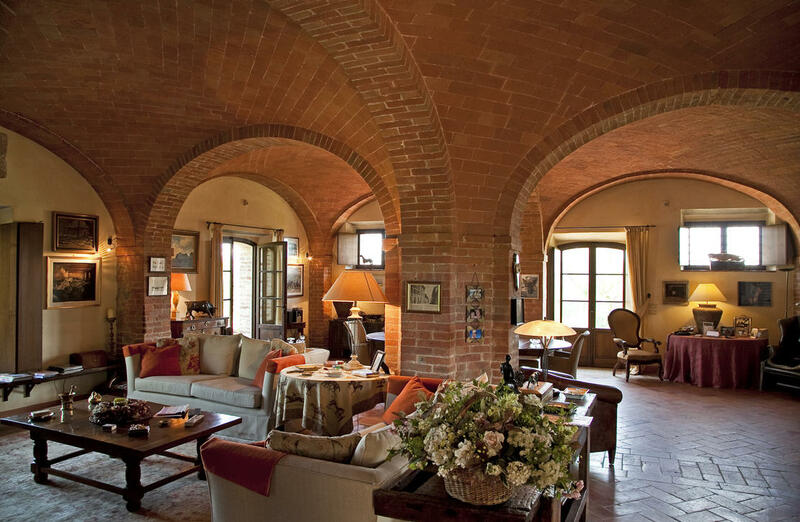 On the ground floor a very spacious living room with exquisite vaulted ceilings and fireplace leads to the large kitchen and portico. There is also a further vaulted room currently unused and ripe for renovation. 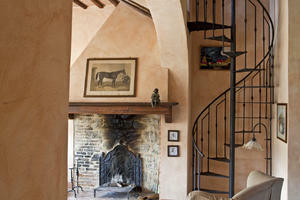 Upstairs there is another living area, three spacious bedrooms and two bathrooms. 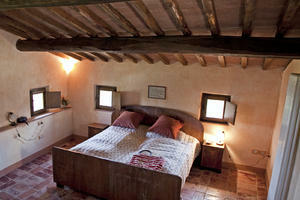 There is also an attic room on the second floor. 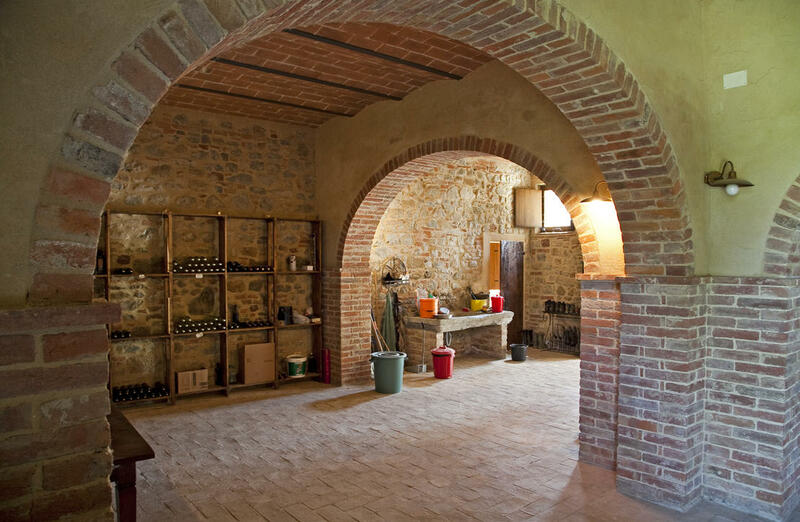 The large basement is used as a garage/storage area and cellar. 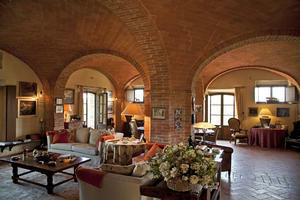 The property also benefits from a caretaker's apartment; an ample sized living room with kitchen, bedroom and bathroom. The sympathetic restoration has ensured that only the best quality materials have been used and all original features salvaged. 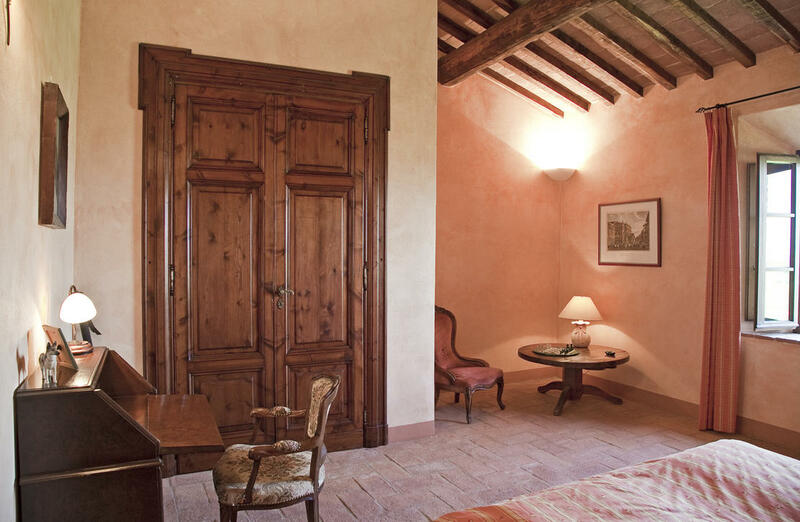 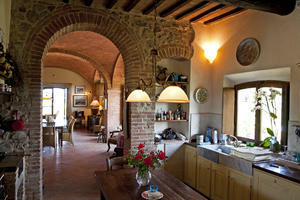 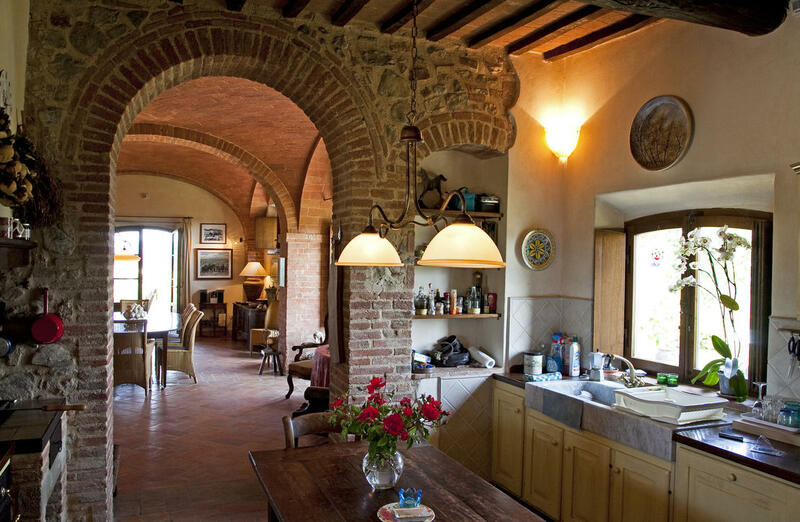 Terracotta tiles and wooden beams add to the charm. 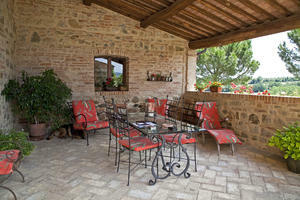 Externally, a pretty loggia runs the length of the property, perfect for al fresco dining or relaxing. 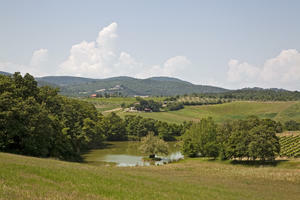 There is also a beautiful private lake included in the property. 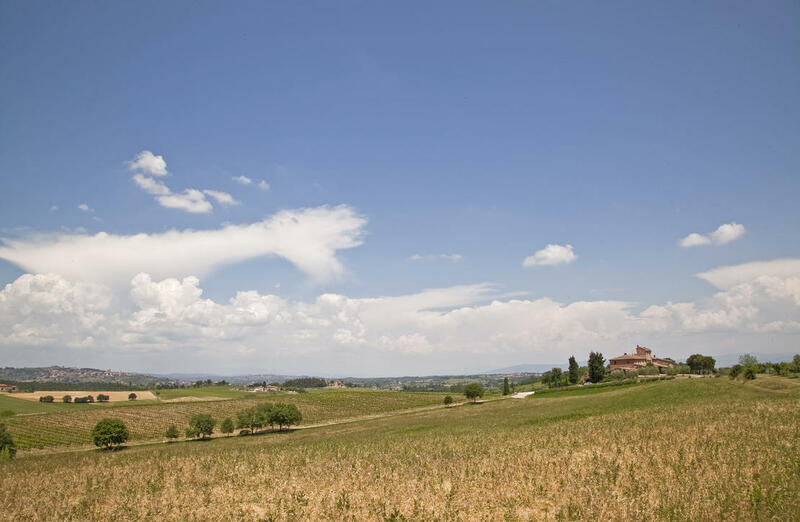 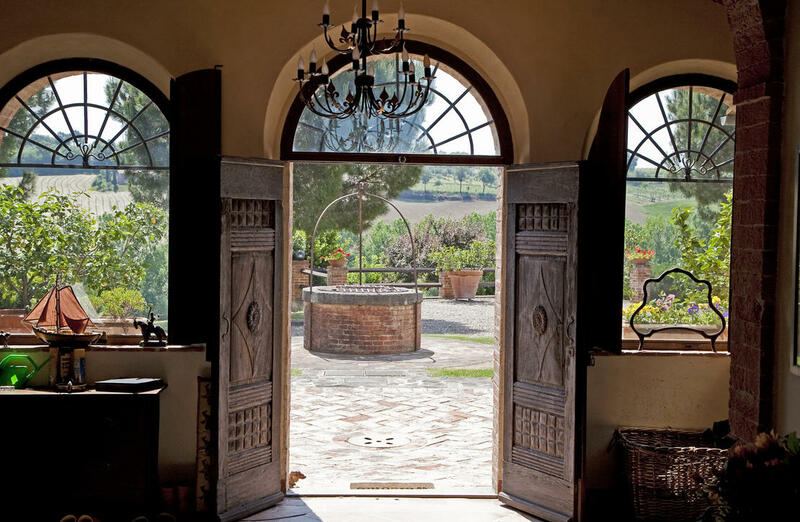 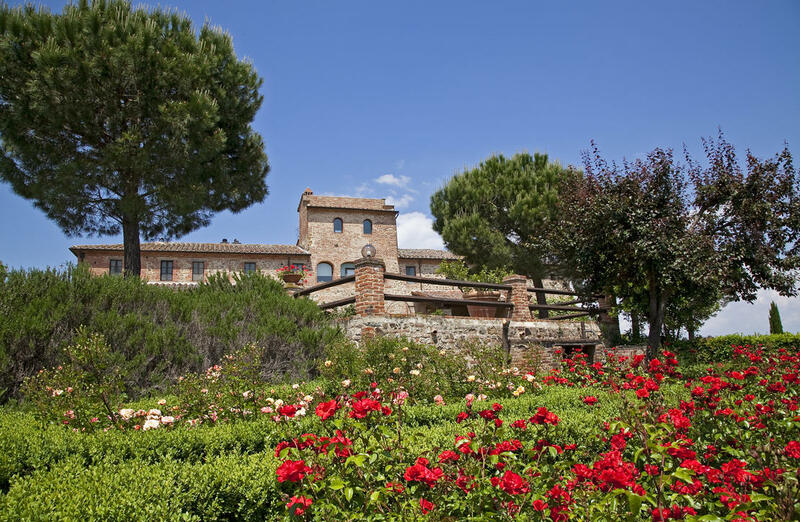 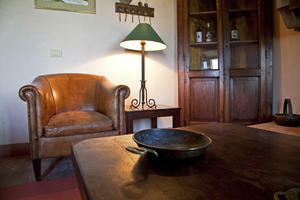 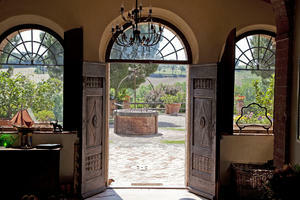 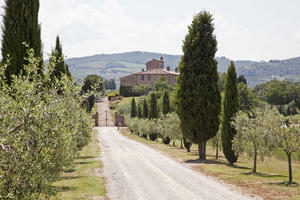 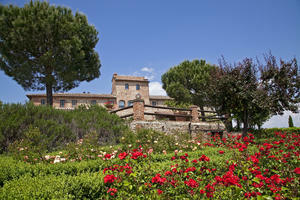 The farmland comprises arable land, vineyards and olive groves, all surrounding the property. The farm has been producing top quality extra virgin olive oil from prestigious olive trees for years. The vines produce excellent Tuscan red wine. 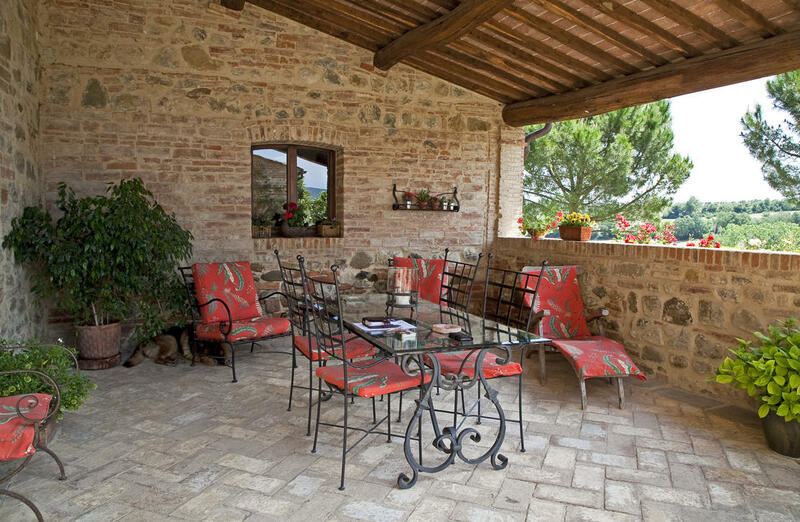 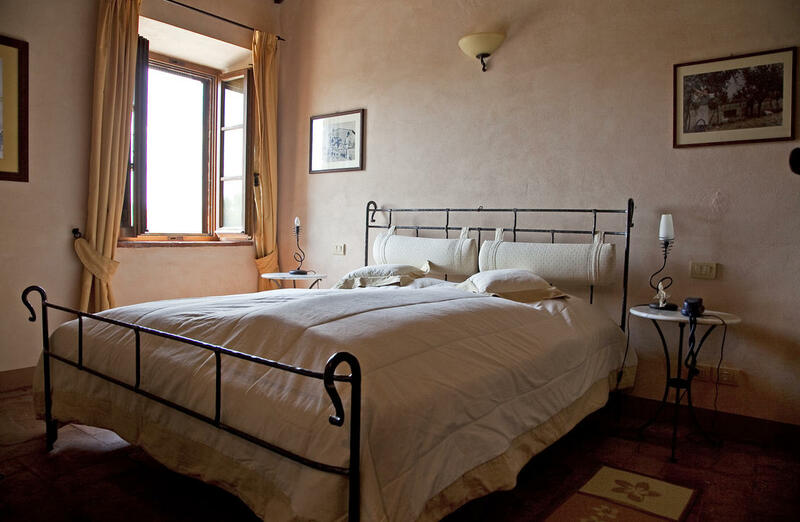 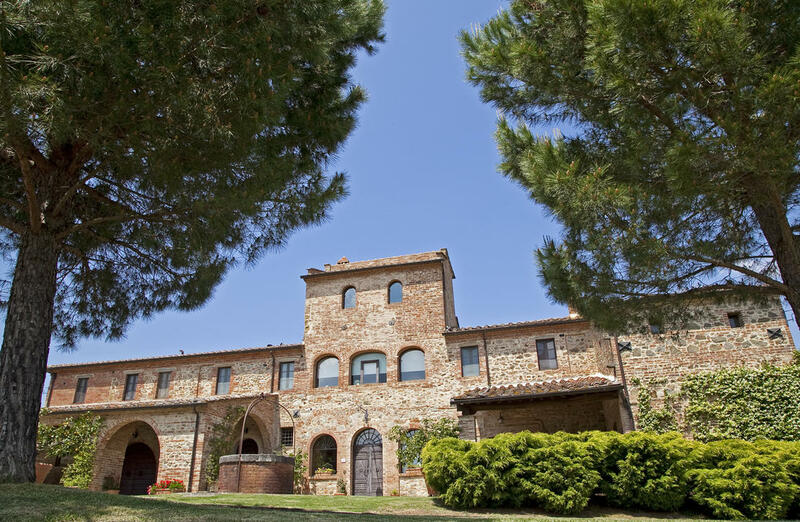 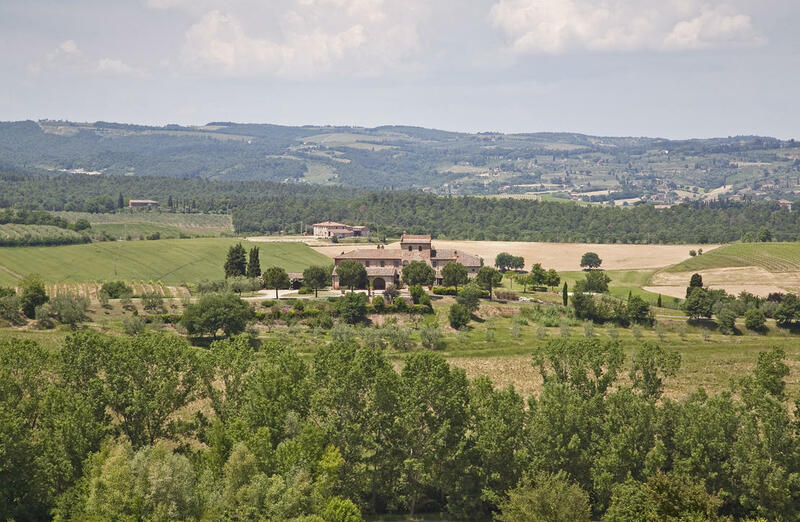 The property is ideally located not far from the main historical cities of central Italy and tourist hotspots: just 20 mins drive from Montepulciano and Chianciano Terme, 30 mins from the Trasimeno Lake, about one hour from Siena, Perugia and Florence.